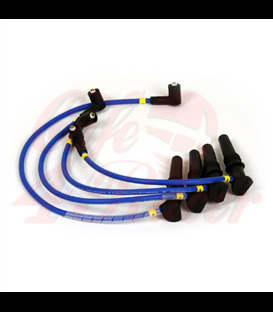 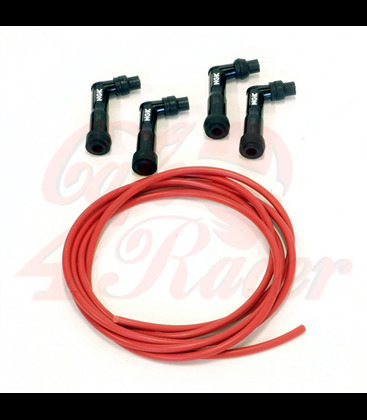 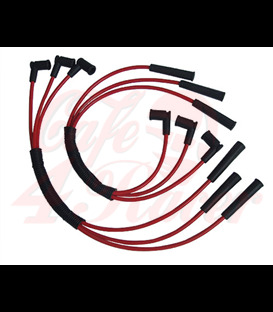 Set of 4 red spark plug cables. 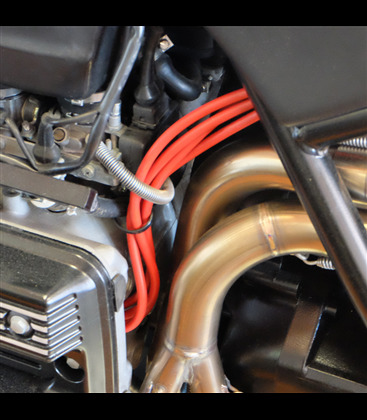 Pre-cut at the right length for the relocation of the coils from the original position to under the saddle. 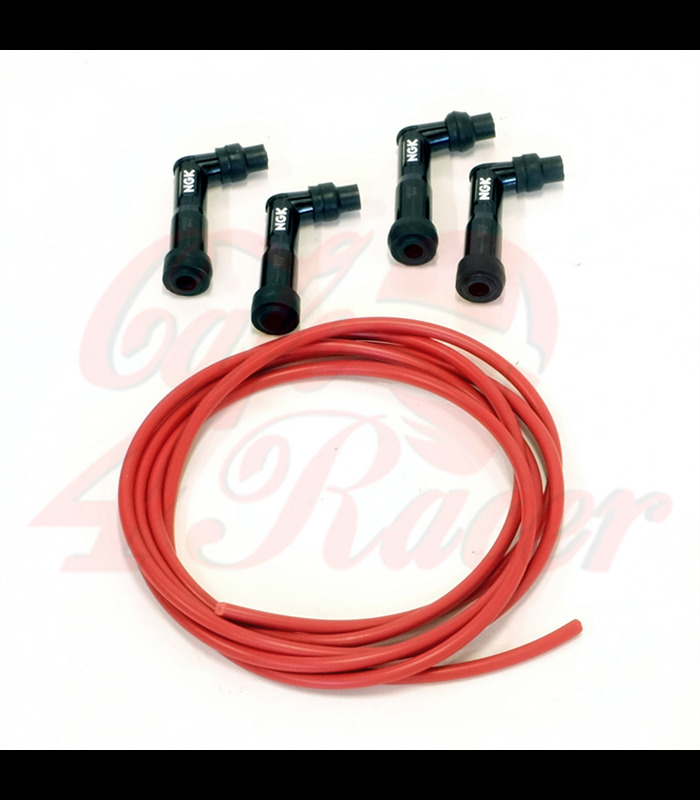 Complete with rubber spark plug caps. 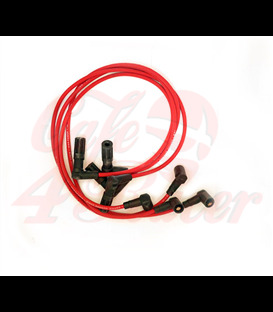 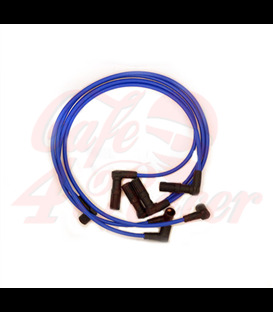 Nb: the connectors to the coils must be removed either from the original cables or ordered as a spare part from an official dealership providing the frame number of your bike.